Seeing a new restaurant is always quite an exciting moment, especially when there is something new on offer. 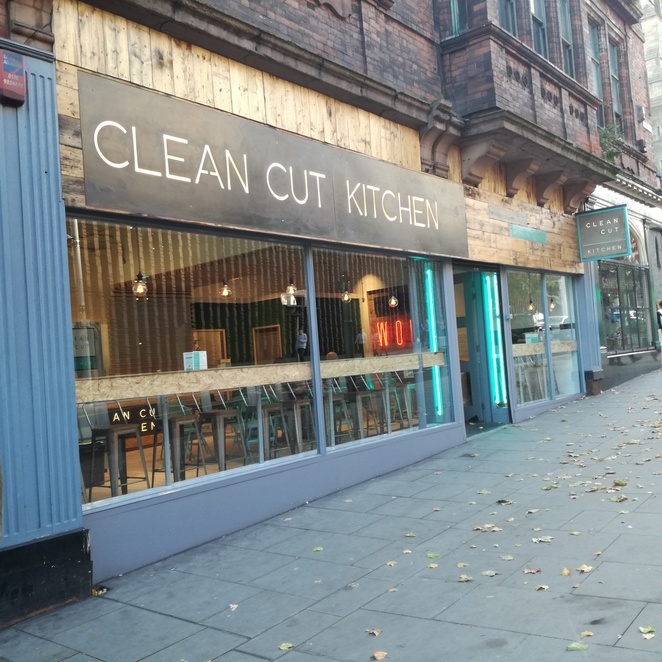 Clean Cut Kitchen has been running now for several months and it is reportedly the healthiest place to eat in Nottingham. So, if you are health conscious, tired of eating greasy junk food or just adventurous with new types of dishes, this is a restaurant you have to visit. The place is situated on Derby road near St. Barnabas Cathedral, about 5-minute walk from Old Market Square. Thanks to its bright turquoise lights, the place is hardly invisible. The interior is simple but modern. There are several small tables as well as bar chairs right near the window. The menu provides lots of options for healthy breakfast as well as burgers, wraps and salads. You can also design a protein box with a selection of protein, base, sauce or dressing and vegetables. For drinking coffee, protein shakes, smoothies, clean juice and soft drinks are offered. If you have a sweet tooth, you can choose from guilty-free treats such as protein doughnut. All meals include nutritional information and if necessary they are labelled as vegetarian, vegan, gluten-free, high in protein or low in carbs. The restaurant is open six days a week. From Monday to Friday (7am-19pm) and on Saturday (9am-17pm). 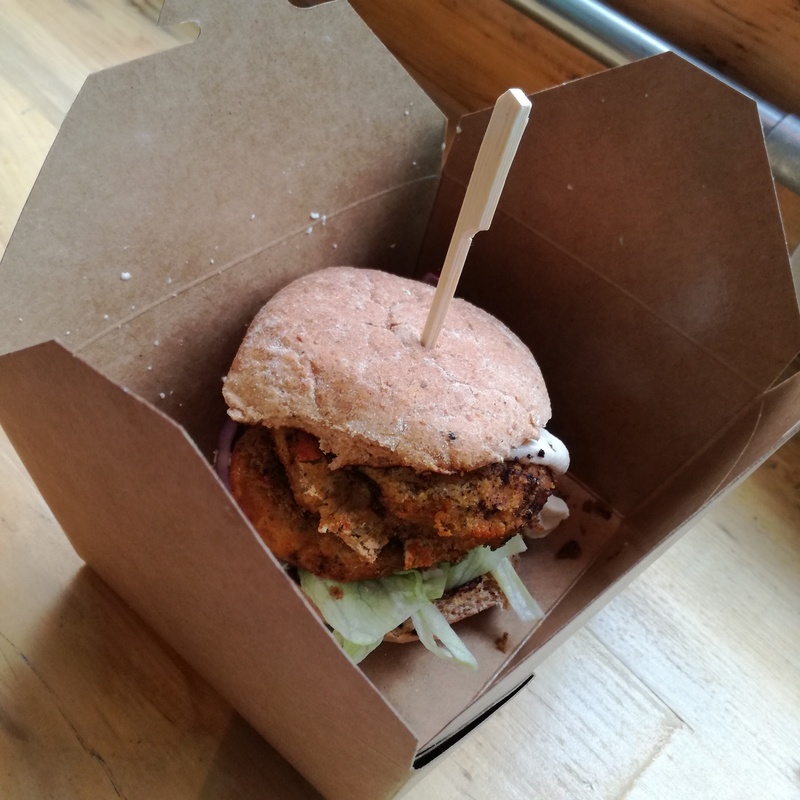 Every order is freshly prepared and served in small cardboard boxes. The place underpins that eating healthy is not boring at all and that satisfied feeling in your stomach will surely make you come back. When: From Monday to Friday (7am-19pm) and on Saturday (9am-17pm).